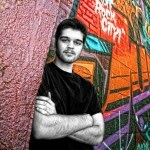 Our Ultimate Portrait Session is our most popular creative portrait session. It includes everything in The Classic and The Classic Plus portrait sessions and a total of five clothing or prop changes. The Ultimate session also lets you include others in your session--your siblings, your pets, your best friends, Mom or Dad, you name it! Weather permitting, you'll also have a Back Lot add on portrait session after your Ultimate session at no additional charge! Only $99. Our "Classic Plus" portrait session includes our "Classic" yearbook portrait session PLUS two additional clothing, prop or background changes. Bring your sports gear, your instrument--anything that reflects the REAL you! Only $79. This is the portrait session in which we create your yearbook portrait and other photos while you are dressed in a classic, traditional outfit. Unlike other studios, we don't just take one or two head-and-shoulder photos for your yearbook and tell you we're done. We'll take your head-and-shoulder portraits in a number of poses and also take some 3/4 length and full-length portraits, too. 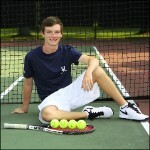 Your favorite head-and-shoulders image will be retouched and sent directly to your yearbook at NO additional charge. Only $59. Our Grosse Pointe Outdoors (GPO) portrait session can be added on to any indoor portrait session. It will in most cases be scheduled for a different day than your indoor session, as we like to do these sessions toward the end of the day for the absolute best outdoor lighting. It can be done anywhere in the Grosse Pointe area--your home, the War Memorial, your favorite park, at your high school--you pick! This add on portrait session is only $119. 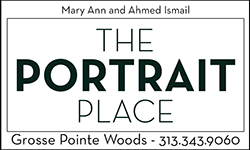 Have a special place outside Grosse Pointe at which you'd like to have some of your portraits created? No problem--our Beyond the GP Borders (BGB) add on portrait session is for you! This add on portrait session can be anywhere within 45 minutes of Grosse Pointe--at your boat, your horse stables, Eastern Market, it's your choice! This add on portrait session is available when purchased with our Classic, Classic Plus or Ultimate in studio sessions. This add-on session starts at $189 (depending on location). If you go to GP North or GP South, we have a cap and gown for you to wear as one of your outfits when you come in for any of the in-studio sessions above. If you're graduating from a different high school, you won't get your cap and gown until May 2015, just before graduation. If you'd like a portrait at that time in your cap and gown, no problem. A "mini" cap and gown session is available exclusively for our Classic Plus and Ultimate portrait session clients at the reduced price of only $19. Just give us a call to schedule this session when you receive your cap and gown.